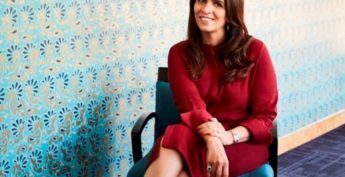 It was great talking with the very well -known, fashion designer, Anita Dongre – Also the founder of House of Anita Dongre. We talk to her about her recently launched eco – friendly brand – Grassroot, about her journey to now, about her store in New York and much much more ! Join -in the conversation on Friday, 18 August, on our Hindi Radio show, Chat and Chai at 9 AM, 11 AM , 2 PM , 5 PM and 8 PM -ET !